If it's software, we can do it. CES 2019 - WE HEADLINED! Software Technology Group, Inc. (STG) ia a software development consulting firm that wants to earn your business and become your partner. For over 25 years, STG has understood that our job is to listen to our client, understand their needs, develop project and software requirements, and then create, deliver and deploy powerful software solutions on time and within budget. We are mobile experts, creating standalone mobile apps and apps that act as an adjunct to cloud and application support. We know project development and our job is to ensure success. We create the image you wish to portray, from nuanced messages to functional engineering workflow. We take legacy code to refresh, revitalize and reinvigorate. We are adept taking hardware and making it run. And we bridge the gap of hardware and software development. When seeing is the first step to believing. Cloud computing is supported as a seamless road to deployment. We allow connectivity and data exchange on any of our embedded development. We are adept at fully automating the process of build, release, spinning up VMs, automated testing, automated evaluation, and automated response to developers and QA staff for re-direction or sign-off. We design websites that meet your stand-alone or integrated needs, and include data resources for the user and end-client. We are experts at Project Management … and Product Management too. More than just software, we also can handle embedded controls, PLCs, board design and automation. We take on robotic projects to enhance and fully utilize the strengths of electromotive systems. STG is working in retail support from distribution to commerce. 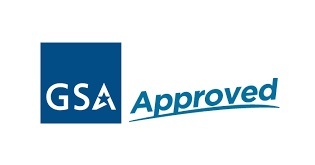 STG is pre-certified to support software development services for government agencies. We work to take materials and transform them into end products through process and automation control. This device was brought to us after other companies failed to produce a functioning product. The goal was to produce "jello shots" on demand, quickly in a commercial setting. The product included hardware design, embedded development, UI/UX, IOT and a data portal to know the production and consumables at any given time, and to know of issues even before the client might infer. Working with a client with a well thought out PowerPoint presentation of where they wished to go. The company, run by a retired police detective, wished to create a comprehensive system built around tracking firearms. There are inventory database systems out there but the focus here has always been …on the firearm.